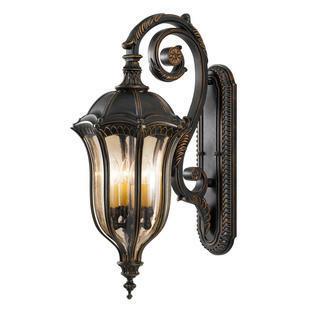 A charming, traditional, Victorian styled outdoor wall lantern with elegant styling. 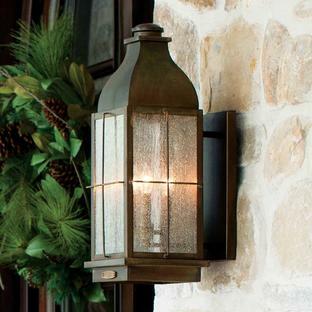 The Wabash outdoor wall lantern is made from a solid aluminium construction with clear bevelled glass. 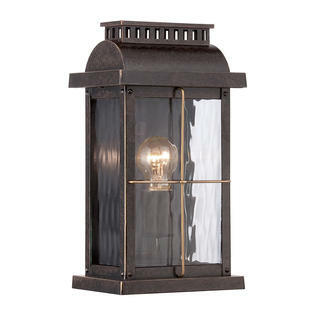 The Victorian styled lantern has etched glass corner panels and decorative chevron detailing. 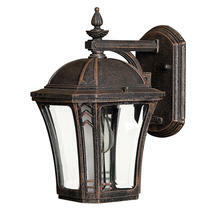 The lantern has a warm black, brown mocha distressed finish. The unusual name of this lantern stems from the town of Wabash, Indiana, which had one of the first earliest electrically lit courthouses in the US. 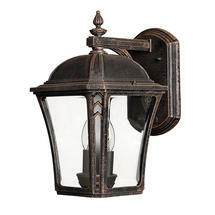 For extra vintage style use an Edison style light bulb to create a more genuine effect.